If you intend to trim and stylize your beard at home by yourself. And need a smart electric beard trimmer, there are lots of options on the market. The Phillips Norelco 3500 is one of them. This trimming machine is designed with angled head for better trimming convenience. There are 20 hair length settings which will provide your hair different lengths. 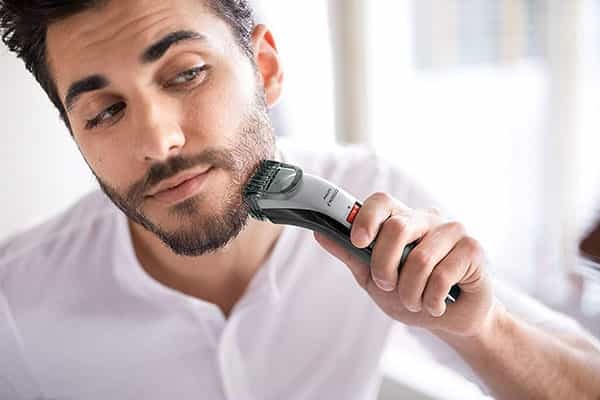 Here we are providing all the features and specifications and our experiences on the Philips Norelco 3500 beard trimmer. Let’s check if it meets your trimming desire. The blades of Phillips Norelco BT 3500 are self-sharpening and the blades are made of titanium, which will cut every hair perfectly. There are 20 built-in precision hair length settings from 1/32 inch (0.5mm) to 13/32inch (10mm). The length settings are zoom wheel system. Just turn it for your desired length. The Phillips Norelco 3500 is powered by a lithium-ion battery which will provide the trimmer up to 120minutes of runtime per hour of charge. The trimmer head is washable. There is a beard comb for a skin-friendly trim. After buying, register your product to get complete benefit from the support which is provided by Phillips Norelco. Let’s check the features and specifications of the Philips Norelco 3500 beard trimmer. Phillips Norelco 3500 electric trimmer made with titanium steel blades. These blades are self-sharpening and prevent your skin from irritations. As the blades are skin friendly which will provide you a perfect and protective trim each time. The rounded blades will prevent your skin from irritations. There are 20 built-in precision hair length settings. The zoom wheel technology gives the length settings from 0.5mm to 20mm. The ‘’lock-in’’ wheel chosen length setting without individual attachments for a hassle-free operation. This trimmer is for cordless use and it is powered by lithium-ion battery. The battery will provide you 120mins of cordless use per hour of charge. The trimmer is not 100% washable. The trimmer head is detachable, so detach the trimmer head and rinse it under running water. After rinse let it completely dry before putting it back. Phillips Electronics North America Corporation warrants this product for a period of 24 months from the date of buy. This warranty does not cover if the product damage for any accident, misuse/abuse or lack of proper care. If there is any workmanship problem or defect in materials, Phillips Norelco will repair or replace your product without any charge (without cutters and combs). The Phillips Norelco 3500 trimming machine has an ergonomic design and it is not hard to get into tight corners. The trimmer is lightweight and it will easily fit in your hand. There are 20 built-in hair length settings for creating different lookings. Just turn the zoom wheel to change the length. The power button is located in the middle of the textured grip area. The wheel is another issue because it is situated almost halfway up the trimmer. It is set in a little cut-out field. These currents early problems if your hand is large, as the sides of this little field can graze against your finger during your trim. But it would not be a big issue after several uses. There is no battery indicator which will provide you the battery status. Phillips Norelco 3500 Beard trimmer uses dual-titanium blades and these are pointedly sharp themselves against one another. This blade quality makes the trimmer easier to use. 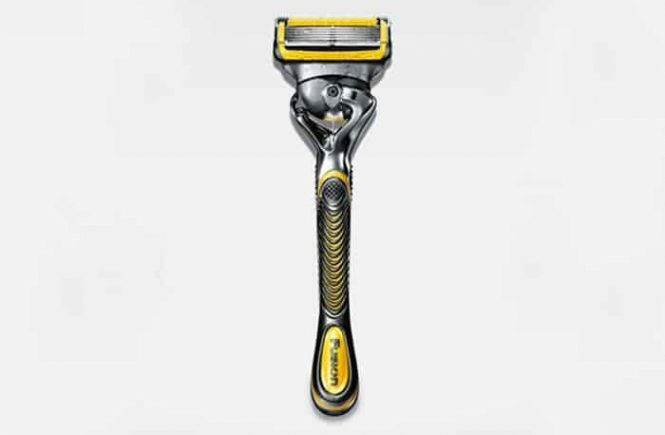 On a primary level, the blades do a good job and they will able to bring the facial hair to down. 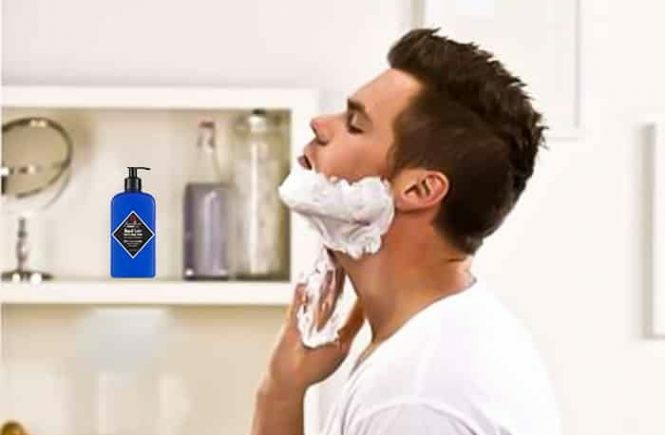 If you want a clean shave, you will need to foil the razor for a perfect shave. For that, you can choose an electric shaver instead. But this is not the main point of a beard trimmer. You are looking for a beard trimmer which will provide you an even trim across your beard. At the lower setting – 0.5mm, this trimming machine will easily handle the facial hair above 0.5mm without problems. But unfortunately, the trimmer had to struggle at the higher end of the scale. To cut 10mm Beards, the trimmer needs few passes in the going over an area. The trimmer does not cut too much at the higher settings and it is just a manner of missing the irregular divergent hair. I prefer the rounded titanium tips and this seems to affect the cutting quality slightly. During trim, you won’t get any skin irritations or nicks and cuts. Phillips Norelco 3500 is powered by lithium-ion rechargeable battery. The battery will provide the trimming machine 2 hours of running juice per hour of charge. The battery life really makes me impressed. There are very few machines which come with such a long life battery. But only negative opinion about this section is, there is no battery indicator which will provide us battery status. This trimmer is for cordless use. So don’t use the trimmer with plugged in, this can be causes of an accident. Don’t charge the trimmer in the bathroom, it can be causes of the accident. Don’t plug the charger in the outlet with a wet hand. Phillips Norelco 3500 is not 100% washable but the trimmer head and comb is washable. There is a little cleaning brush in this package which will make easier to clean the attachments. Removing the trimmer head is very easy. You will get this instruction in the user guide. When you will remove the trimmer head or comb, 1st you have to turn off the trimmer. Then brush the head and comb thoroughly, and hold them under running water. For a hygienic clean, you can use a bit of liquid soap. After cleaning, let them fully dry and then adjoin it with the trimmer body. After a clean, you can use a bit of oil in the trimmer head for a smooth run. Since the trimmer is not washable, you can brush the outside of the trimmer or use cloth for a wipe. Proper cleaning and maintenance will make your trimming machine last longer. The manufactures of Phillips Norelco 3500 recommended that we have to replace the blades once a year. If you replace the trimmer blades, the trimmer will work like before. In my opinion, replacement depends on using habit and the sharpness of blades. You will get the replacement parts and other accessories on the website of Phillips. To buy the replacement parts visit www.pstc.phillips.com. The higher length settings not always obtain an even trim. 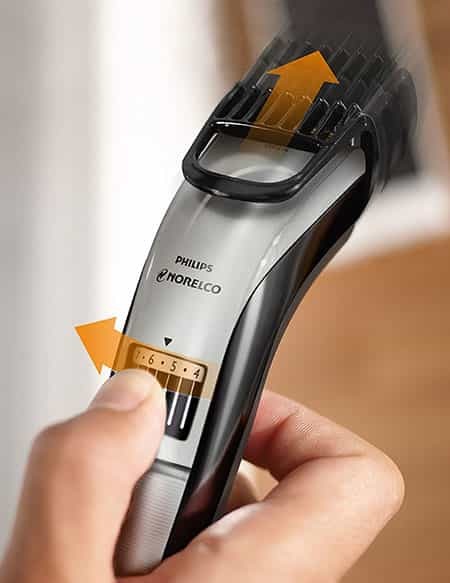 The Phillips Norelco Beard Trimmer 3500 is for cordless use and it is not 100% washable. Only the trimmer head and comb are washable. Here I will provide you with some instructions for a risk-free trim. Don’t use this trimming machine for any purpose other than trimming. This trimming machine is perfect for a short beard but it is not able to handle long beard perfectly. 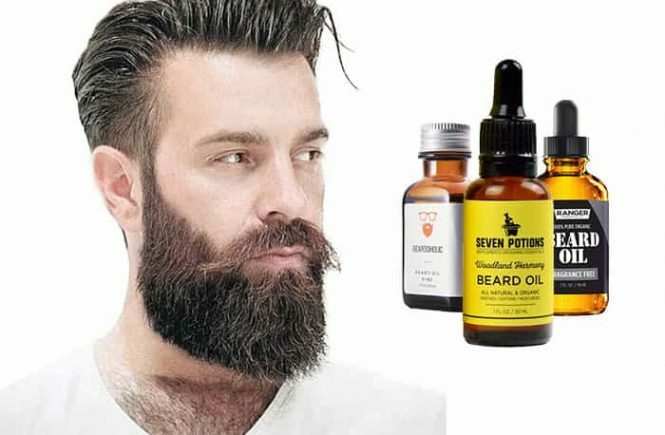 If you have a short beard and like short beard styles, I think it will be better for you. 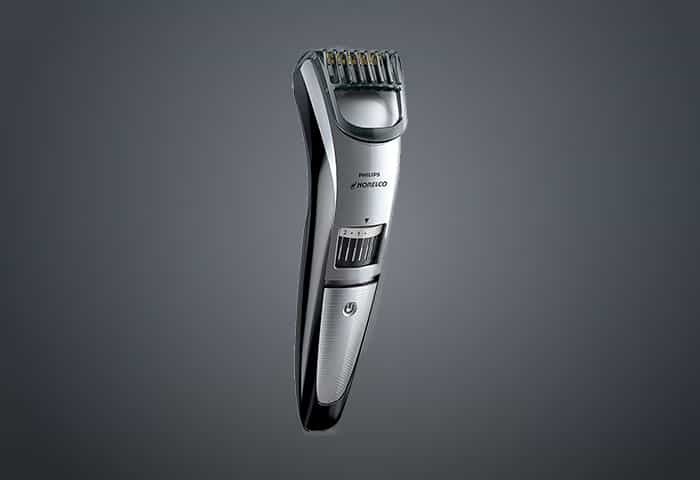 If you are looking for a simple beard trimmer, you can try the Phillips Norelco 3500. After a test, if it does not meet your satisfaction with its performance, you can return it because the Phillips Norelco provide you 45 days risk-free trial. To get all the services which are provided by Norelco register your product immediately after buy.